The architecture of Melbourne is to be found in buildings which are, quite literally, all over the map. I have mentioned before that this city is spread out, but it only sinks in when you see the suburbs light up one by one on an illuminated map which reveals them according to the dates each was founded. The map is to be found at the ultra modern Melbourne Museum, right next door to one of the city’s architectural showpieces, the Royal Exhibition Building, 1879-1880. Melbourne was founded in 1835 without the approval of the British administration of London or Sydney. Free settlers from Tasmania stumbled upon the grazing lands along the Yarra River and set up a small, pastoral settlement producing wool. The settlement grew slowly for the first sixteen years. In 1837, the government in Sydney accepted the inevitable and sent surveyors over to establish a grid of streets. The town was named after the British Prime Minister, William Lamb, second Viscount Melbourne. Brick and wood were the most common building materials, followed by the basalt that had been squeezed up to the surface by volcanic action in the area– bluestone. In 1851, Melbourne became the capital of the new colony of Victoria. Gold was discovered the very same month and more than half a million gold seekers poured into the city over the next ten years. Melbourne was suddenly transformed into the biggest city in Australia. The city’s open sewers were covered over and grand Victorian buildings were erected to line the new streets, boulevards and gardens. The boom generated a staggering number of Victorian buildings, banks, museums, hotels, churches, theatres and mansions. They were ornate, demonstrating ingenious use of the new products of the industrial revolution, cast iron, pressed tin, sheet glass and cheap labour. The neo classical style was adopted for public buildings, gothic for churches. The building boom continued until the bank crash of the 1890’s, which was followed by an economic depression. 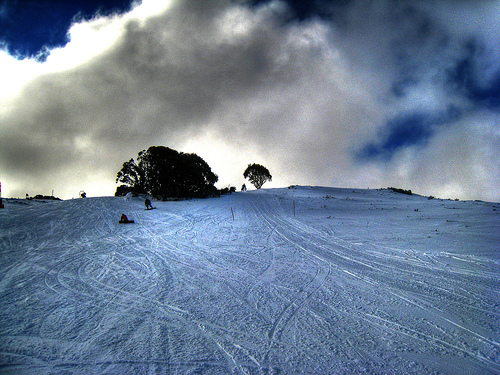 After the 1890’s there was a new enthusiasm for the picturesque. This was influenced by the English Arts and Crafts movement and Art Nouveau. Basalt (bluestone) was extracted from a quarry in Clifton Hill and used extensively in the 19th century. Because the material was difficult to carve, it was used for warehouses and the foundations of public buildings. 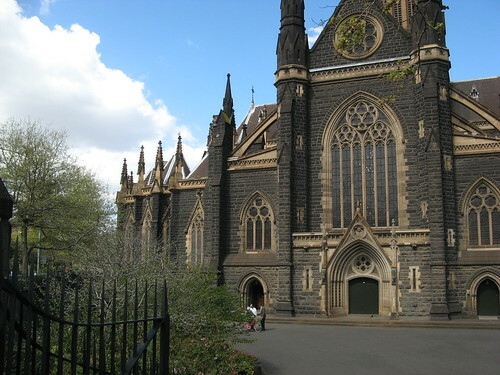 Significant bluestone buildings include the Melbourne Gaol, Pentridge Prison, St. Patrick’s Cathedral, Victoria Barracks, Melbourne Grammar School, Victoria College for the Deaf, and the Goldsborough Mort warehouses. It was also used extensively for cobblestone roads, curbs, gutters, retaining walls and bridges. It is ubiquitous throughout the city, anchoring the city to the earth with its appearance of permanence. Bluestone is not, in fact, as immortal as it appears. It weathers, and some of it is riddled with holes made by escaping gasses It does not posses diamond-like qualities, but to the builders of Melbourne, it was the next best thing. It made the city what it is today. I go out with my local gang of idiosyncratic recumbent bike riders for three or four hours of conversation, coffee and exercise almost every weekend. Two weeks ago we started riding from the village of Somerville, a good hour south of Melbourne, down along the Mornington Peninsula It was a lovely day, but windy. The ride was a workout in my condition. The flu had kept me inactive for several weeks. During our lunch break I learned that we were within striking distance of the suburb of Cranbourne, which had generated headlines a day earlier. 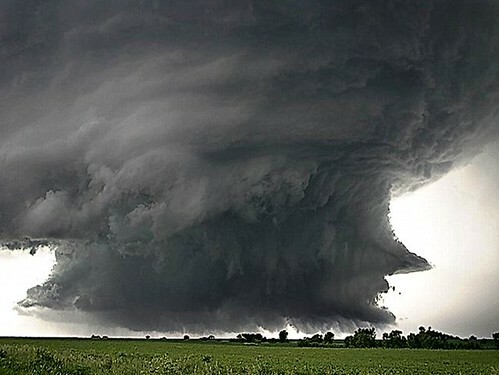 The unfortunate homeowners of Brookland Greens housing estate had been informed by the EPA that their houses could explode. There was, naturally. a certain amount of shock, anger, consternation and dismay. Since then, there has been talk of a class action suit. It seems that Peet and Company, the developer, had challenged the decision by the City of Casey to keep a buffer zone between the development and the local landfill. The EPA (Environmental Protection Authority) agreed with the City and even suggested expanding the buffer zone. Peet then turned to the Victorian Civll and Administrative Authority. The tribunal consisted of a lawyer and an industrial chemist, who overruled the EPA and the City, dismissing their advice as well as that of an environmental consultant hired by the developer. The buffer disappeared. One of the houses was found to have a 60% level of methane in a wall cavity. Methane can ignite at much lower levels. When Peet purchased the property, an environmental audit was not required despite the fact that the land was located next to a tip (landfill,) a sand mine and chicken broiler farms. At a public hearing, local resident Caroline Clover was full of questions: “You worry about what could happen if this methane keeps building up… Is there going to be an explosion? If one house has methane gas, can the next explode?” Homeowners who bought mansions in Cranbourne for half a million dollars feared the values of their investments would plummet. The Cranbourne landfill operated between June 1996 and June 2005. It was capped with a meter (yard) of clay in 2006, The EPA recommended that the gas extraction process be monitored for a year before building anwhere near the site, but that, too, was ignored. The residents at risk are being offered $8,500 each to help them move, as well as $1,000 in emergency grants. Several investigations are now underway and dozens of owners of landfills in the metropolitan area have been put on notice by the EPA to clean up their act. Thirty-six landfills in or around Melbourne are registered as “priority sites” for monitoring or cleanup. In the meantime, the residents of Brookland Greens are watching and waiting and keeping a close eye on the gas monitors. Colette Bruton has lived at the estate for a year and has three monitors in her house. “We just don’t know who to believe because everyone is blaming everyone else,” she said. Last week our bike ride began in Altona, an industrial suburb to the west of Melbourne. We began at a pretty place called Cherry Lake, but part of our journey followed the historic open sewer that used to take the City’s industrial wastes to the outfall at the town of Werribee. Our path took us around a giant landfill. I have been looking at my country though the eyes of a Don Watson, an Australian historian/speech writer. His latest book is called “American Journeys.” He quotes de Tocqueville, of course, and Mark Twain, and a whole lot of people he meets on train trips and at truck stops, people no one has ever heard of. For me, it makes for fascinating reading because of what it reveals about the Australian point-of-view. The date of America’s post war Pearl Harbor came and went without much fanfare here in Australia. They write the date backwards, so it is 11-9, which makes a lot of sense when you think about it. Day, month, year. And they don’t call 911 in the event of an emergency, (they call 000) so the date itself loses a bit of the resonance it has in the U.S.A. I have been to the top of the World Trade Center three times. We took two of our children the last time, and pointed out where we used to live in Battery Park City. It was right on the Hudson River, built on top of the landfill from the construction of the twin towers. It wasn’t really a proper New York neighborhood at that time, but our apartment had one characteristic which was remarkable in New York City, it was quiet. I was in Washington D.C. when the Towers were hit, working at a conservation organization a few short blocks from the White House. We were all absolutely transfixed at the sight of the silver plane heading straight as an arrow into the slender tower. First one, then two. Over and over again, as long as you could bear to watch. When the plane hit the Pentagon the television event suddenly took on a pressing reality. We were awfully close to the Capitol and it occurred to us that the drama might not be over. We hovered around a handful of televisions until the CEO called us together. There was a rumor that the subway line going out to Virginia (past the Pentagon) was no longer running and that the whole system might be shut down. He suggested that we get home as soon as possible. On foot, if necessary. It was one of the few days I had worn loafers rather than walking shoes, and I was eight miles from home. Fortunately, the rumor was wrong. Unfortunately, the unbelievably horrible event that we had witnessed on television had actually happened. Now, some of the other financial towers in New York City are toppling. There will be a lot of fallout. We may be as close as we have come to a financial meltdown since the Great Depression. The only silver lining that I can see is that it just might wake my countrymen from their torpor and sideline the Republican McCain/Palin machine. Another four years would be twelve years too many. Financially, morally, environmentally. With a hurricane ripping up Texas, a deadly train wreck in California, Obama’s momentous march to the White House derailed by a white female redneck from the least populous state in the Union, what more could go wrong? It’s positively peaceful in Ausltalia and spring is on the way. I have no doubt there are many other cities in the world that would love to have some of Melbourne’s problems, but there is one issue which is fairly intractable and raises hackles in polite company. That issue is, of course, water. The City has been on Stage 3a water restrictions since April, 2007. Even though It seems like it has rained every day this winter, the reservoirs are still far from full. And we are entering the dry season. households with at least one resident aged 70 years or over, may water their gardens manually on specified watering days between 6am to 8am, or 8am to 10am. These efforts have paid off. Ordinary citizens have reduced use by 30% since the 90’s in Melbourne. If the rainwater that fell on the city were captured with tanks or cachements, the problem would go away. But that would require far more storage tanks than are in use now. It is a low tech, decentralized solution. The political honchos in the State Government of Victoria have signed on to two expensive fixes: a north-south pipeline from the Goulburn River that will bring in up to 75 billion liters (one liter is slightly more than a US quart). and a desalinization plant in Wonthaggi, 150 kms south of here. (150 billion liters). Both projects seem to be responding to the city’s anticipated growth rather than current requirements. In an average year Melbourne consumes 500 billion liters of water. Compared to agribusiness users, city dwellers are rather stingy with water, consuming only 11% of daily water in the State. But even the volume of water used on farms has slumped in recent years due to cutbacks in the supply available for heavily irrigated crops like cotton and rice. Victorian farmers have been turning, increasingly, to groundwater. The desalinization plant is the most expensive, energy intensive, environmentally problematic solution to the water issue at hand. It is expected to be online in the Fall of 2011. Costing 3 billion dollars, fresh water produced by the plant will use 400% more energy than current supplies. It will require 90 megawatts of power, most of which will have to be produced by coal. 200 billion tons of brine will be returned to the ocean and more than 1.2 million tons of greenhouse gas will be pumped out each year into the atmosphere. Putting the three billion dollars into water tanks and pumps in Melbourne could provide more water than desalinization without pumping any water anywhere. Household water bills are expected to double over the next five years to pay for the infrastructure. 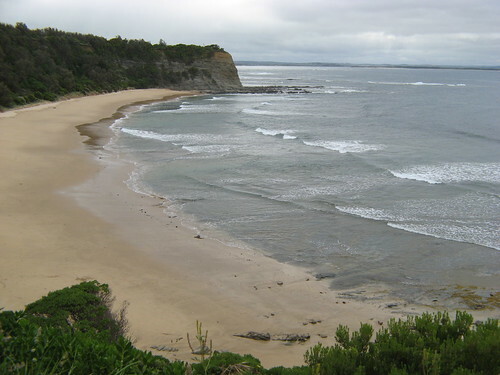 Wonthaggi, the plant site, is on a spectacular bit of coastline. We have reached a point in historical time when problems such as this are going to come up more and more frequently. Our watery planet can’t afford many more uncaring, unintelligent solutions. When nature can’t readily accommodate our needs, we must find a way to make fewer demands. Like it or not, we are the stewards of the blue planet. I would like to believe we’ll be doing that job for a long, long time. This may be the only place on the planet I can say that I am sick of being crook and expect some degree of understanding and sympathy. “Crook” has taken an evolutionary twist on its way to the Southern hemisphere, its meaning leaning towards “ill” or out of sorts. I am guessing now that what I thought was a cold or an allergic reaction may, in fact, have been the flu. I probably picked it up at the Writer’s Festival. Everyone knows that writers are solitary creatures and should never get together except in bars or at Irish pubs. Only bad things can come of it. The strain that latched itself on to me came on like Sarah Palin’s proverbial bulldog and I am still suffering from the symptoms, which seems hardly fair. I eat right, exercise, and usually start each day with Uncle Toby. For those of you unlucky enough to have been born somewhere other than Australia, or those who may not have read Laurence Sterne’s 18th Century novel, Tristam Shandy, the name may not trigger instant recognition. A briefing is in order. Which brings us around to breakfast cereal. When Clifton Love, an entrepreneur from Sydney, decided that his family-owned spice grinding business should branch out into milling oats, his sister, Nellie was enlisted to come up with a name for the new product line. She latched on to Uncle Toby and devised the logo, which has barely changed in 115 years. The company was listed on the Sydney stock exchange in 1919 and went on to stardom in the breakfast cereal firmament. 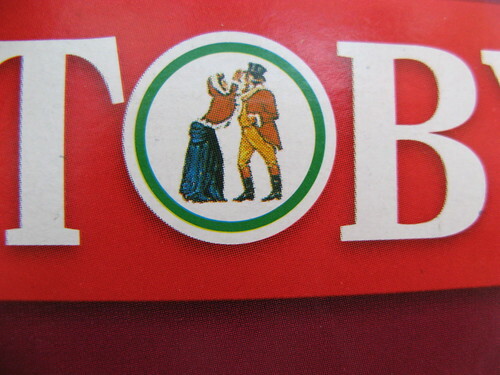 In 1993, Uncle Toby was the number two brand of breakfast foods in Oz, right after Kelloggs. Two years ago, the brand was gobbled up by the Swiss company, Nestle. The thing about breakfast cereals in Australia is that the boxes get really big, there is a huge variety on offer, and there are a number of cereals without excessive amounts of sugar. I am not sure why that is. Australians certainly have a sweet tooth, but they appear to indulge their penchant for sweets with cookies (biscuits), chocolate and the like, rather than load their breakfast cereals with sweeteners. The Uncle Toby pitch is about good health and nutrition, not about selling fructose to toddlers. Over the years, the brand has made use of various athletes, including the swimmer, Grant Hackett, as a spokesman. I wish they would have chosen Cliff Young instead. He grew up on a sheep farm outside Melbourne which did not have horses or four-wheelers. He would play sheep dog and run down the sheep. In 1983, at the age of 61, he decided to enter an ultra marathon foot race between Sydney and Melbourne, a distance of 700 kms, or 442 miles, 17 marathons in a row. Cliff showed up in gumboots and overalls. Cliff was not flashy or fast, but five days and fifteen minutes later, he won, finishing the race two full days ahead of his competitors. He did the one thing that the others had not thought possible, not sleeping. Cliff never repeated that success, but he went on to run more than 20,000 kms in his career. What a great Australian story. Just like Uncle Toby. Now, If only I could get over feeling crook, I’d be right as rain. Ready to run down a few sheep, or, at the very least, get back on the bike again.